Tee’d Up Printing is the dream of Mike Calico and Russell Andrews! It was built starting from nothing to becoming something we never could have imagined! In 2014, lifetime friends Mike and Russell came together to form a partnership and start Tee’d Up Printing. They set out with Russell’s printing knowledge and Mike’s sales and experience- with integrity, customer service, and quality at the top of every decision, product and job they did and four years later here they are now still going and looking forward to many more years and establishing Tee’d Up to be the print company everyone loves! 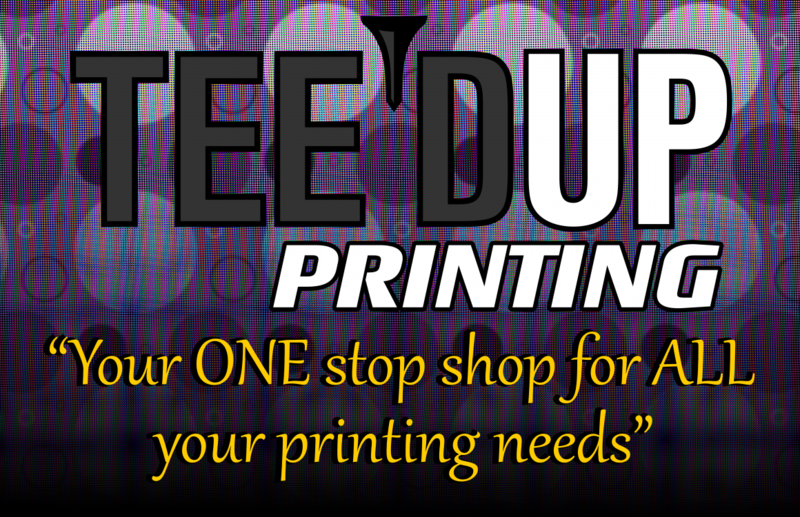 Tee’d Up Printing is a 1 stop print shop that specializes in screen-printing, sports, and customer service! Just call us for all your printing needs!